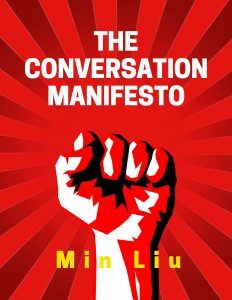 ​If you have trouble making other than mundane and uninteresting conversations with people, The Conversation Manifesto will show you how to END this horrible problem. Learn WHY following conventional conversation advice inevitably leads to mundane, uninteresting, sleep-inducing conversations. CLICK below and receive The Conversation Manifesto (FREE for YOU) which will show you the #1 way to create extraordinary and exciting conversations at any time, any place, and with anyone. 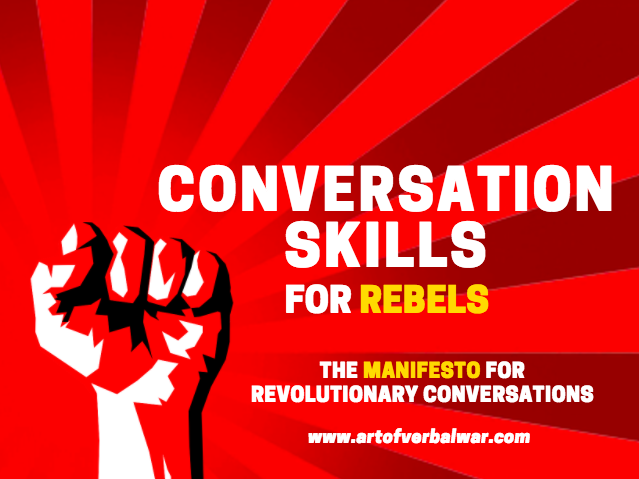 Through the new paradigm of conversation skills you will learn in The Conversation Manifesto, you will finally have the POWER to gift other people the time of their lives! Copyright © 2017 Art of Verbal War. All Rights Reserved. 100% Private. We will never spam you or share your information.